Welcome to my Words with Friends page! 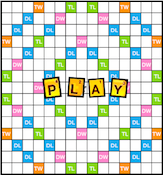 This page contains tips, puzzles, and strategic insight that can help improve your ability to play Words with Friends. If you like this section and want to learn more, please check out my Words with Friends book here! Learn the basic strategies of Words with Friends! 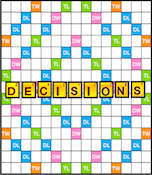 These pages examine the fundamental tactics necessary to win at Words with Friends. 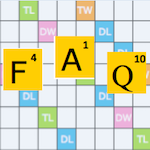 These pages examine some of the advanced strategies of Words with Friends. 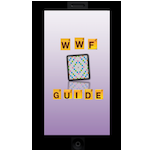 Learn how to outplay any opponent at Words with Friends using the most advanced Words with Friends strategies and tactics ever devised! 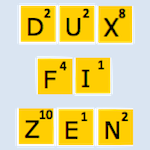 Test your Words with Friends skill with these puzzles! 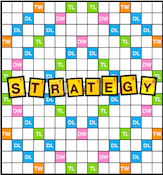 From anagramming to board vision to strategy, these puzzles cover the most important components of Words with Friends! The ultimate book for Words With Friends players! 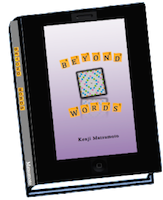 Beyond Words examines the basics of Words with Friends strategy, helping players of all levels become a better player. Buy one today! 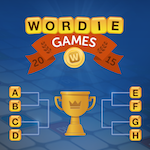 The Wordie Games was a Words with Friends tournament held in the summer of the 2015, where players competed for a 25k first prize! Check out the broadcast here!